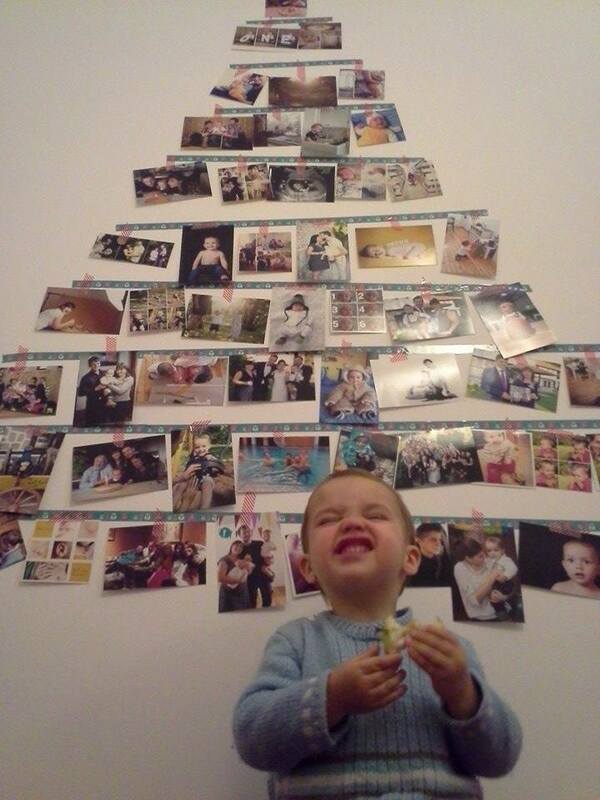 Our Christmas tree this year is simple, space-saving, cheep (5 Еuros to develop the photos) and soooo lovable! 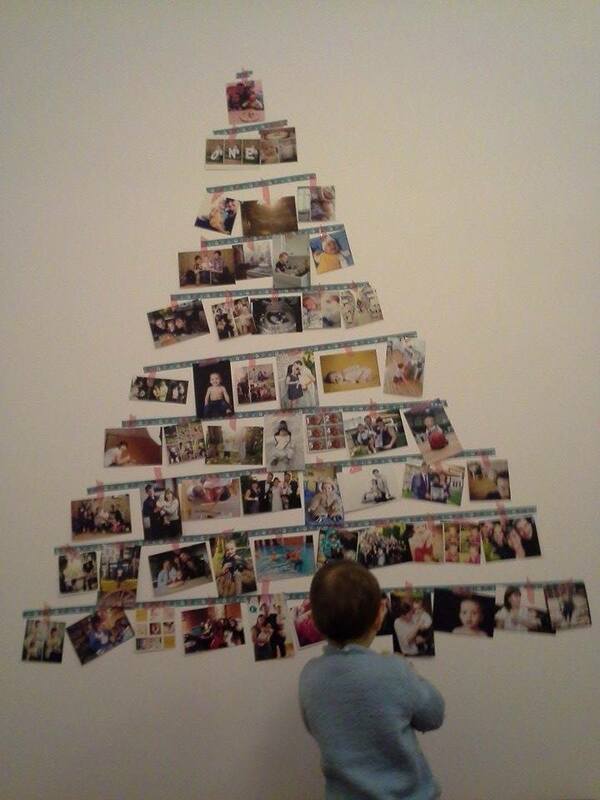 The best thing you could do with a toddler at home is to have the Christmas tree on the wall. I’ve recently become a great fan of washi tape. Also, I just wanted to do something very special with the thousands photos I took this year. It was a very eventful year for our family indeed! 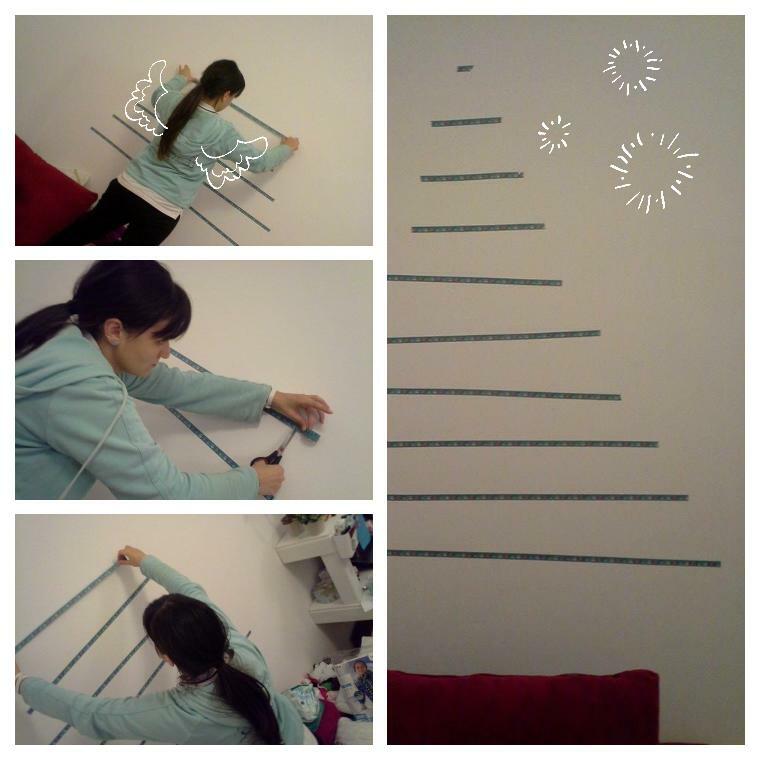 So it just came naturally… a photo collection washi tape Christmas tree on the wall! 2. 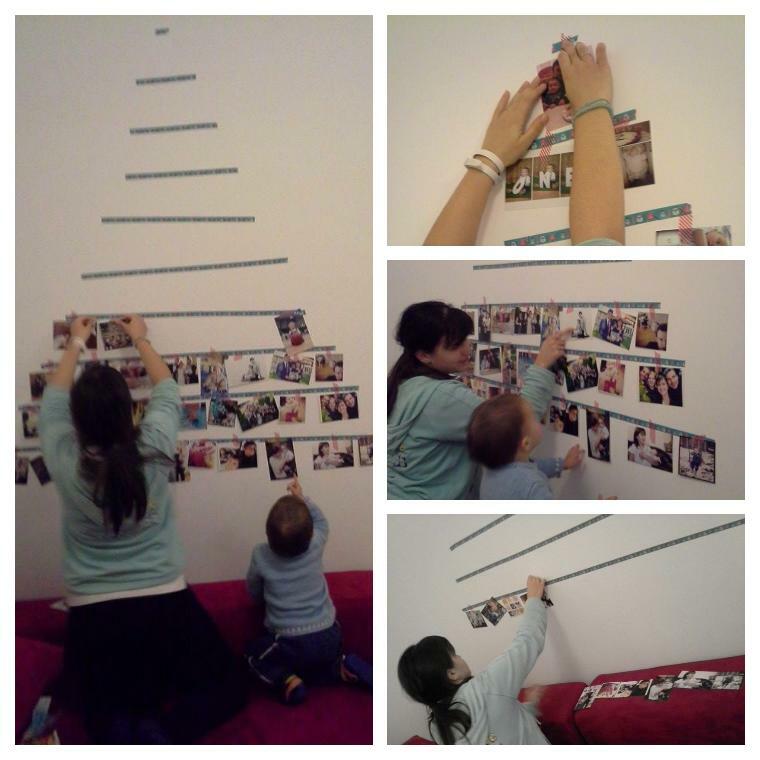 Put up the ornaments – they just consist of our most precious moments from 2014: about sixty 10×15 and 10×10 photos. Thanks go to Tonita for capturing lots of those moments. Love goes to all the people on the tree! Our 2012 Christmas tree on the wall.